Life turned on a dime for my son and I, again. We will need your loving support during this transition. For reasons i can't discuss my once athletic and brilliant son has very progressive MS- we have accepted it- Our goal is for him to have a quality life and be well cared for... stuff happened and I'm getting old...David Ellinger will be going into a nursing home with in a few days. His condition has deteriorated- but we can arrest the set back some- maintain his joints to prevent contractures somewhat and carefully prevent bedsores with great care and diligence of the properly trained staff who are willing to follow the best protocol for him. I had to close my eCommerce store- only temporarily...I' m broke. I would be homeless except for loving sisters. I'm strong willed and I will survive. I hope my friends in Washington, Iowa can direct me to an excellent nursing home near Washington, Iowa or Iowa City, Iowa where he can come home to Iowa. 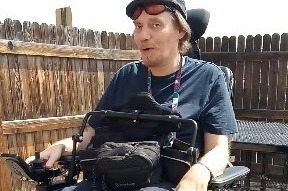 I need about $8,000 for medical transport with a one over night stop 1/2 way from Colorado to Iowa. he does not travel well. I will go with the transport team as he has very specialized heath care needs. Once we find the right place to accommodate a young man with progressive MS will transport in in a few months. 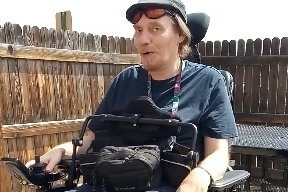 This Go FUND me to quickly raise money to hire a medical transportation already spoken to. They will have enough staff in a few months out to take him home from Colorado Springs to Iowa. I need your help...I hate leaving my dependent child behind. Feel free to share if you feel you can. Please help me take David home to Iowa. 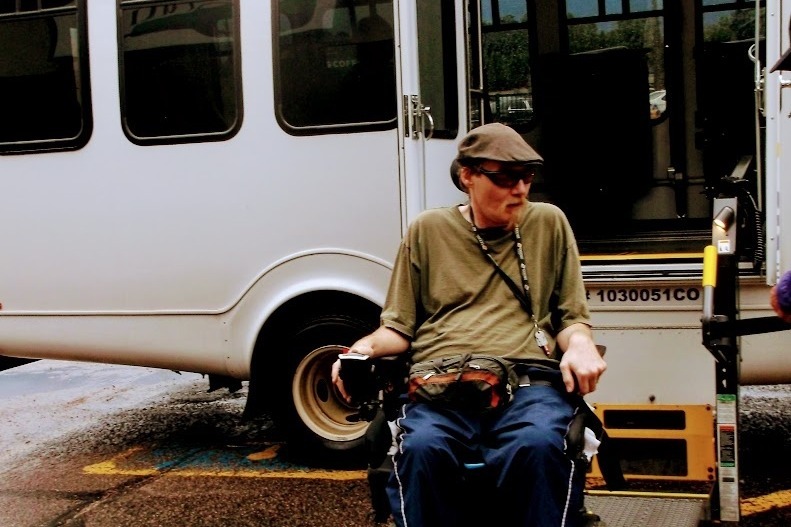 I will be in transit soon as I can no longer pay rent with my loss of income from doing his home care. He needs 3 caretakers. I'm too old to transfer him from his bed to his chair. A once trusted care giver abandoned him with no warning. He has been stuck in bed for weeks with exception for with my daughter can get here. this kicked us off the program and left no time to make arrangements for another program...its complicated. My computer is dying... bad timing for eCommerce store so near Christmas- I am losing $100's of $ in sales right now because my computer shuts off and I'm getting ready to move plus doing his cares. My son is my priority- the paper work is complicated and time consuming. We need help to stay afloat. We need trusted care givers - so we are going back home to Iowa. Thank you for the out pouring of love. With heart felt gratitude to everyone who helped David make it back to Iowa...and an adventure it was with the Grey Hound ADA ramp breaking twice. We made it to Iowa- 2 days late- after the Iowa City bars closed- but before the snow cyclone and the bridges in Nebraska flooded. Plans fell thru' on the nursing home transfer- but, we have a cheap wheelchair accessible apartment in Iowa City instead. Thanks to everyone for all the love and the donations. I have a 5 star Nursing Home in Iowa City picked out for David. 1) can only hold an opening for a day. Openings fill fast. 2) 18 hour road trip - Need good weather. 3) Need funds to make this transition happen once the weather clears - then we move fast. 4) We are limited with vehicles to transport him in his wheelchair- but it can be done.